Forex trading is nowadays the preferred form of investment for an increasing number of people these days. It is apparent why this is so. As the largest trading market in the world, the Forex market has a steadily growing trading volume, which has risen from around $500 billion to about $3 trillion in the last 10 years. Additionally, since it is not tied to any particular trading floor, it is an unusually liquid market. Operating around the clock also makes it a permanently open market. Thus, since many markets are opening and closing at the same time, one can effectively follow the markets around the world. Both big and small traders are thus being attracted to Forex trading. 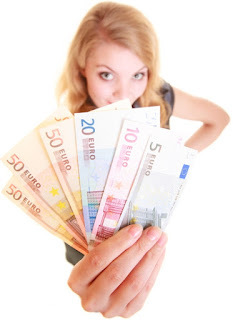 They enjoy a wide choice of trading strategies based on the various aspects of the foreign exchange rates. Many traders coming into the market find the different things that affect currency exchange rates very attractive for a very simple reason – they can use a wide range to tools when working in this exciting and stimulating market. Automation is perhaps the greatest influence today on the future growth of the Forex market, as it brings with it more advantages than disadvantages. Manual systems trying to operate in a fast paced and volatile environment bring with them several losses. A simple time delay in buying and selling may cause a row of losses in a manual system and thus cause the trader immense frustration. Automated Forex trading allows trade to be conducted anywhere in the world, in real time, and eliminates the losses seen in manual systems. Operating in a wide range of different currency markets at the same time, without worrying about the time zones of the places concerned, is another advantage that automated Forex trading brings. Sitting in New York at 2 o’clock in the morning, one can conduct business with traders in different countries on the other side of the globe, simultaneously and with great ease. All thanks to automated Forex trading. Risk management is often a source of worry for traders, but even this is reduced with automated Forex trading. Payments can now be synchronized in real time and this leaves traders satisfied, as opposed to manual trading where there is always uncertainty about payment being made after completion of trade. The automated trading system is developing progressively, and that brings with it hopes that the settlement system will be updated and markets risks will soon cease to exist. If there is one technology that has advanced by leaps and bounds over the past few years, it is computer technology. Indeed, one hopes that it will continue to grow for many years to come. Most importantly, advances in computer technology spell good for traders who wish to access the best Forex automated trading. Access to technology easily and cheaply from the comfort of the traders’ homes means they can manage their own investments with ease. Automated Forex day trading will thus come as a welcome addition to a fully empowered investment vehicle for those in the currency-trading world.